A surprisingly high number of Florida retirees decide to file for divorce. These “gray divorces” can provide older adults with more social freedoms in later life, particularly since they’re no longer bound by work schedules. At the same time, however, it can be very difficult to separate financially when you’ve been planning for retirement as a couple. According to a recent article in USA Today, divorce can come as a financial shock to many couples over the age of 50. Do you have questions about property division and getting ready for the financial effects of divorce? Contact an experienced Fort Lauderdale divorce lawyer for help with any of your family law-related issues. When you’re over 50 and you’re in the middle of a divorce, it will be important to come to a divorce settlement that safeguards your financial future, the USA Today article emphasized. Yet such a settlement can be difficult and complicated. As one certified financial planner explained, “there are no ‘do-overs’ after you agree to a settlement.” As such, it’ll be important to make sure that divorce settlement is as good as it possibly can be, for “after 50, you’ll have fewer years to recoup from financial errors.” In other words, once you’re looking at retirement, you’re not going to be in a position to earn back the savings and retirement funds you lost in your divorce settlement. 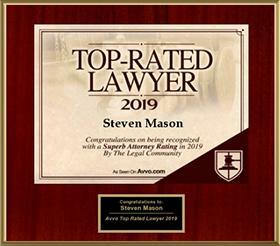 · Stay calm and reasonable: if you and your spouse are willing to think rationally about your assets and debts, you’ll be able to deal with property division and have your divorce finalized in a more timely fashion (which will mean more money saved in legal fees). When you argue with your soon-to-be ex about who gets what, you’ll spend more money in the end. · Consider asking a third party for help: if you’re having difficulty coming to an agreement over property division, it’s a good idea to have an impartial third party who can offer objective guidance. Sometimes a financial planner can play this role, while in other cases a couple might consider meeting with a mediator. · Take a good look at your shared debt versus your individual debt: before you file for divorce, you should always run credit reports to look for any hidden debt. Remember, even if you didn’t know your spouse spent money, if the debt occurred during the marriage, it may very well be considered marital property. · Think about your real property and decide what you need to keep: sometimes divorcing couples can fight over real property, such as a marital home or a vacation house. Even if you “win” the property in the settlement, it’s likely to bring unexpected costs for repair and upkeep in the future that won’t figure into your settlement. As such, it often makes the most sense to sell any real property and to divide the profits. · Consider your retirement benefits: it’s important to keep in mind that a divorce decree may not always protect your rights to money in a retirement account. In Florida, you should speak to a divorce attorney about a Qualified Domestic Relations Order (QDRO) and how it might protect you, or a Military Pension Division Order (MPDO) for military retirees. Making sure your divorce doesn’t result in late-life financial difficulties can be a complicated task, but an experienced Hollywood divorce attorney can discuss your case with you today. 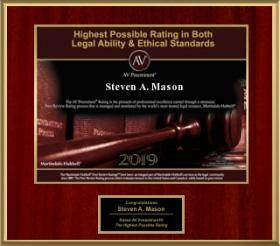 Contact the Fort Lauderdale and Hollywood Law Offices of Steven A. Mason, P.A. 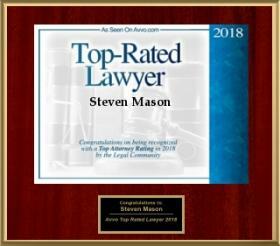 for legal advice at 954-963-5900 or leave a message online.